It was the most impactful for the few “queue” tables in the system that handled hundreds of inserts and deletes per second. The tables had millions of data pages despite that they stored just a handful of rows. The tables supposed to be small and there were bunch of queries that performed Clustered Index Scan over them burning a lot of CPU resources to perform mullions of logical and physical reads. The output of sys.dm_db_index_physical_stats looked similar to Figure 1 below. Very little record_count with very large number of page_count and version_ghost_record_count. The latter one indicates how many ghosted rows cannot be cleaned up due to row-versioning transactions in the system. We looked at the active transaction and discovered, that one of our readable secondaries ran terrible SELECT that cross-join several hundred-million row tables. Unfortunately, SQL Server allowed it to execute and this select was running for more than 12 hours deferring ghost and version store clean-up on primary node. The bottom line – non-optimized workload on the readable secondary node can affect your primary. Heh. You can read why it happens in my recent blog post at Apress.com and in my upcoming book on locking, blocking and concurrency (should be published in October). However, I also wanted to mention it here and provide you the demo scripts and video that demonstrates it. Remember about this overhead. 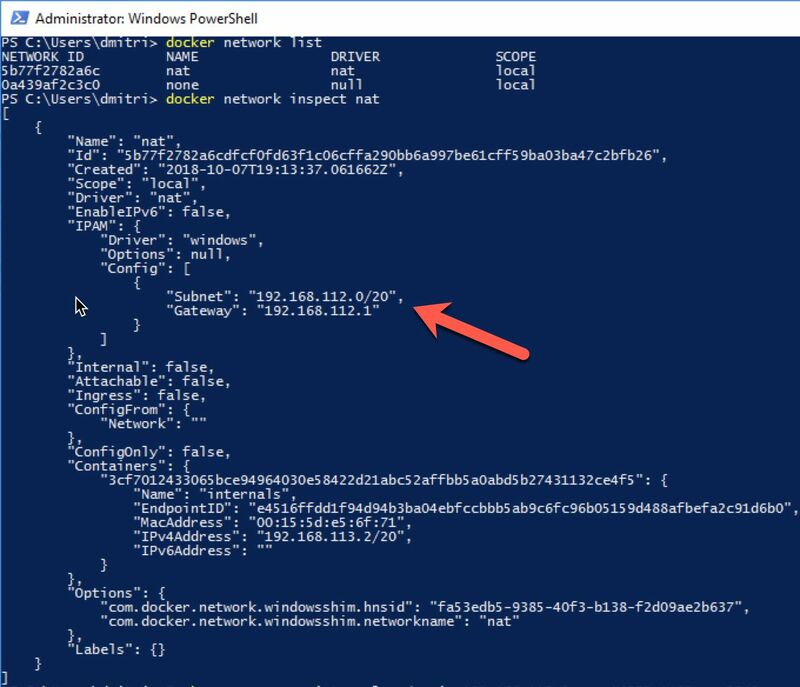 Secondary nodes are great to scale your read workload but they are by no means “set it and forget about it” kind of solution. This entry was posted in SQL Server 2012, SQL Server 2014, SQL Server 2016, SQL Server 2017 and tagged AlwaysOn, ghost cleanup, row versioning, version store on September 12, 2018 by Dmitri Korotkevitch. If you worked with SQL Server for a while, you should have noticed how landscape changed over the years. We are dealing with the different problems now. Five years ago, majority of the issues I saw were related to non-optimized queries. There were the huge scans with a lot of physical I/O and bad performance. You do not see them as often nowadays. It is very cheap to solve the problems by upgrading the server. Put a couple hundred GBs of RAM and cache all the data; add more CPUs and problems magically disappear. The root-cause has not been fixed but who cares? Surprisingly, there is one category of the issues that did not went away – concurrency. It even becomes worse. Modern servers handle more users and problems that did not exist with 50 concurrent users may put the server to its knees with 5000 users. I’ve been constantly involved in the troubleshooting of various concurrency issues and, in fact, I see more and more of them overtime. This analysis may become very time consuming, especially if you need to deal with the large number of servers. Over the years, I have created the set of routines, which simplify it for me. I have been thinking to publish my scripts for a while, but I’ve never had time to polish them enough for public consumption. Until now – and I am very happy to share my collection with all of you. So allow me introduce the Blocking Monitoring Framework, which I am using with majority of my servers! This framework is using Event Notifications. It captures blocked process report and deadlock graphs and parses them at time when event occurred and all data is still available in the system. All information is persisted in the set of tables for the further analysis. The first version is available for download. I also promise you that I am going to support and enhance it in the future publishing the new versions on the regular basis. Please feel free to contact me in case of any questions. I would also appreciate if you provide me any blocked process reports and deadlock graphs that framework was unable to parse. I will address the issues as quickly as I could. This entry was posted in SQL Server 2008, SQL Server 2012, SQL Server 2014, SQL Server 2016, SQL Server 2017, T-SQL and tagged Blocking Processes, Locking on August 2, 2018 by Dmitri Korotkevitch. As strange as it sounds, I have never considered transaction management to be the topic that requires explanation. However, it seems that some aspects of it are confusing and may benefit from the separate, long overdue, blog post. There are three types of transactions in SQL Server – explicit, autocommitted and implicit. Explicit transactions are explicitly controlled by the code. You can start them by using BEGIN TRAN statement. They will remain active until you explicitly call COMMIT or ROLLBACK in the code. In case, when there are no active transactions present, SQL Server would use autocommitted transactions – starting transactions and committing them for each statement it executes. Autocommitted transactions work on per-statement rather than per-module level. For example, when a stored procedure consists of five statements; SQL Server would have five autocommitted transactions executed. Moreover, if this procedure failed in the middle of execution, SQL Server would not roll back previously committed autocommitted transactions. This behavior may lead to logical data inconsistency in the system. For the logic that includes multiple data modification statements, autocommitted transactions are less efficient than explicit transactions due to the logging overhead they introduce. In this mode, every statement would generate transaction log records for implicit BEGIN TRAN and COMMIT operations, which leads to the large amount of transaction log activity and degrade performance of the system. There is another potential performance hit caused by excessive number of autocommitted transactions. As you know, SQL Server implements Write-Ahead Logging to support transaction durability hardening log records on-disk synchronously with data modifications. Internally, however, SQL Server batches log write operations and caches log records in memory in small 60KB structures called log buffers. COMMIT log record forces SQL Server to flush log buffers to disk introducing synchronous I/O operation. Figure 1 illustrates this condition. INSERT_1, UPDATE_1 and DELETE_1 operations run in autocommitted transactions generating additional log records and forcing log buffer to flush on each COMMIT. Alternatively, INSERT_2, UPDATE_2 and DELETE_2 operations run in implicit transaction, which leads to more efficient logging. You can run the code below to see this overhead in action. It performs INSERT/UPDATE/DELETE sequence 10,000 times in the loop in autocommitted and explicit transactions respectively, measuring execution time and transaction log throughput with sys.dm_io_virtual_file_stats view. In my environment and this test, explicit transactions are about two times faster and generated three less log activity than autocommitted ones as shown in Figure 2. As the side note, SQL Server 2014 and above allows you to improve transaction log throughput by using delayed durability. In this mode, SQL Server does not flush log buffers when COMMIT log records are generated. This reduces the number of disk writes at cost of potential small data loss in case of disaster. SQL Server also supports implicit transactions, which you can enable with SET IMPLICIT_TRANSACTION ON statement. When this option is enabled, SQL Server starts the new transaction when there is no active explicit transactions present. This transaction stays active until you explicitly issue COMMIT or ROLLBACK statement. Implicit transactions may make transaction management more complicated and they are rarely used in production. However, there is the caveat – SET ANSI_DEFAULT ON option also automatically enables implicit transactions. This behavior may lead to unexpected concurrency issues in the system. The error handling in SQL Server is the tricky subject especially with transactions involved. SQL Server would handle exceptions differently depending on error severity, active transaction context and several other factors. Let’s look how exceptions affect control flow during execution. Listing below creates two tables- dbo.Customers and dbo.Orders – and populates them with the data. Note the existence of foreign key constraint defined in dbo.Orders table. Let’s run three DELETE statements in one batch as shown below. The second statement will trigger a foreign key violation error. @@ERROR system variable provides the error number for the last T-SQL statement executed (0 means no errors). Figure 3 illustrates the output of the code. As you can see, SQL Server continues execution after non-critical foreign key violation error deleting a row with CustomerId=3 afterwards. The situation would change when you use TRY..CATCH block as shown below. As you can see in Figure 4, the error was caught in the CATCH block and the third deletion statement has not been executed. Remember that non-critical exceptions do not automatically rollback explicit or implicit transactions regardless if TRY..CATCH block is present. You still need to commit or rollback transaction after the error. Depending on severity of the error, transaction in which error occurred may be committable or become uncommittable and doomed. SQL Server would not allow you to commit uncommittable transactions and you must roll it back to complete it. 0 indicates that there is no active transactions present. 1 indicates that there is an active and committable transaction present. You can perform any actions and data modifications committing transactions afterwards. -1 indicates that there is an active uncommittable transaction present. You cannot commit such transaction. There is very important SET option- XACT_ABORT– which allows you to control error-handling behavior in the code. When this option is set to ON, SQL Server treats every run-time error as severe, making transaction uncommittable. This prevents you from accidentally committing transactions when some data modifications failed with non-critical errors. When XACT_ABORT is enabled, any error would terminate the batch when TRY..CATCH block is not present. For example, if you run the code from the second code sample above again using SET XACT_ABORT ON, the third DELETE statement would not be executed and only the row with CustomerId=1 will be deleted. Moreover, SQL Server would automatically rollback doomed uncommitted transaction after the batch completes. The code below shows this behavior. The stored procedure dbo.GenerateError sets XACT_ABORT to ON and generates an error within the active transaction. @@TRANCOUNT variable returns the nested level of transaction (more on it later) and non-zero value indicate that transaction is active. Figure 5 illustrates the output of the code. As you can see, batch execution has been terminated and transaction has been automatically rolled back at the end of the batch. TRY..CATCH block, however, will allow you to capture the error even with XACT_ABORT set to ON. As you can see in Figure 6, exception has been trapped in the CATCH block with transaction still remain active there. Always use explicit transactions in the code during data modifications. This would guarantee data consistency in transactions that consists of multiple operations. It is also more efficient comparing to individual autocommitted transactions. Set XACT_ABORT to ON before data modifications. This would guarantee “all-or-nothing” behavior of the transaction preventing SQL Server from ignoring non-severe errors and committing partially completed transactions. Use proper error handling with TRY..CATCH blocks and explicitly rollback transactions in case of exceptions. This helps to avoid unforeseen side effects in case of the errors. The choice between client-side and server-side transaction management depends on application architecture. Client-side management is required when data modifications are done in the application code, for example changes are generated by ORM frameworks. On the other hand, stored procedure-based data access tier may benefit from server-side transaction management. The code below provides the example of the stored procedure that implements server-side transaction management. SQL Server technically supports nested transactions; however, they are primarily intended to simplify transaction management during nested stored procedure calls. In practice, it means that the code needs to explicitly commit all nested transactions and the number of COMMIT calls should match the number of BEGIN TRAN calls. The ROLLBACK statement, however, rolls back entire transaction regardless of the current nested level. The code below demonstrates this behavior. 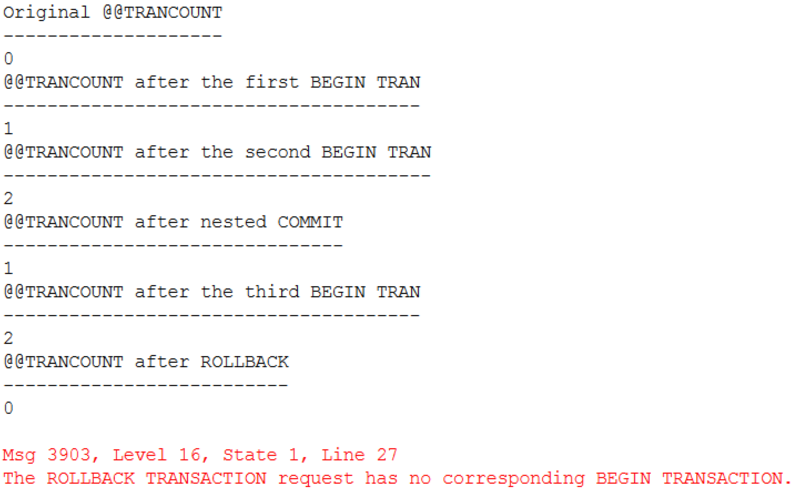 As I already mentioned, system variable @@TRANCOUNT returns the nested level of the transaction. You can see the output of the code in Figure 7 below. You can save the state of transaction and create a savepoint by using SAVE TRANSACTION statement. This will allow you to partially rollback a transaction returning to the most recent savepoint. The transaction will remain active and needs to be completed with explicit COMMIT or ROLLBACK statement later. It is worth noting that uncommittable transactions with XACT_STATE() = -1 cannot be rolled back to savepoint. In practice, it means that you cannot rollback to savepoint after an error if XACT_ABORT is set to ON. The code below illustrates savepoints in action. The stored procedure creates the savepoint when it runs in active transaction and rolls back to this savepoint in case of committable error. 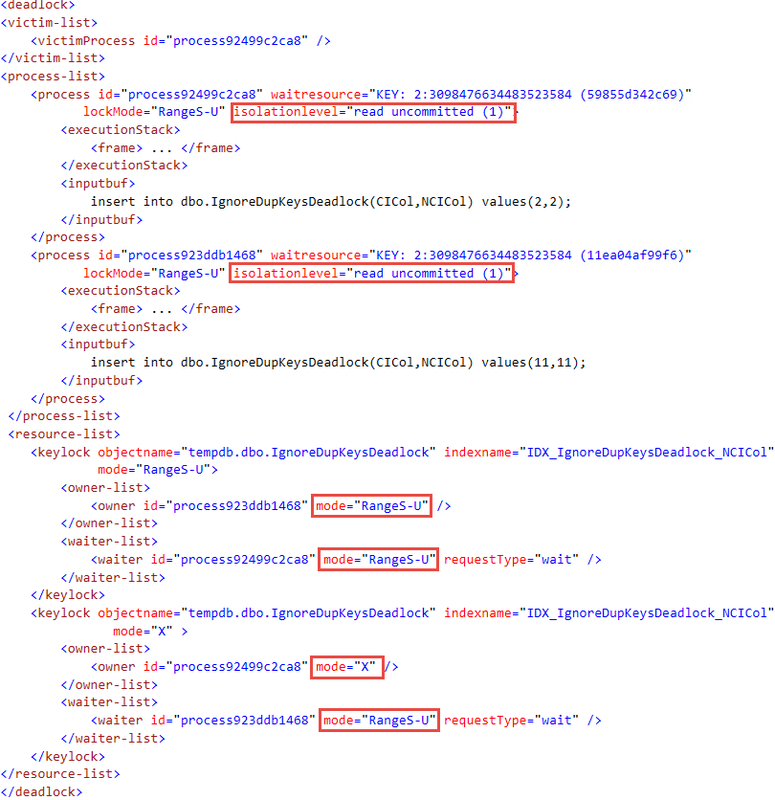 The test triggered foreign key violation during the second dbo.TryDeleteCustomer call. This is non-critical error and, therefore, the code is able to commit after it as shown in Figure 8. It is worth noting that this example is shown for demonstration purposes only. From efficiency standpoint, it would be better to validate referential integrity and existence of the orders before deletion occurred rather than catching exception and rolling back to savepoint in case of an error. I hope that those examples provided you the good overview of transaction management and error handling strategies in the system. If you want to dive deeper, I would strongly recommend you to read the great article by Erland Sommarskog, which provides you much more details on the subject. This entry was posted in SQL Server 2005, SQL Server 2008, SQL Server 2012, SQL Server 2014, SQL Server 2016, SQL Server 2017, T-SQL and tagged Error Handling, Locking on January 23, 2018 by Dmitri Korotkevitch. Last week we discussed how to implement Sliding Window pattern in the tables with columnstore indexes. As I promised, today we are going to focus on partition management in such tables. As you will remember, SQL Server does not allow you to split and merge non-empty columnstore partitions. I personally do not consider it as the huge limitation – perhaps because I rarely have reasons to do it in columnstore tables. However, there are still some cases when it may be required. As one of examples, think about a table, partitioned by date, which may be populated with incorrect data from the future. Perhaps due to some issues in ETL processes. Some rows may be placed to incorrect (future) partition, which would prevent its split. Let’s look at the process in details. I am going to recreate the tables I used last week with the script below. Figure 1 demonstrates data distribution across partitions in the dbo.Orders table. As you can see, we have 13 non-empty partitions started from November 2016 up to end of November 2017. Let’s assume that we would like to merge November and December 2016 together, which are partitions 2 and 3 in the tables. As the first step, we will create the staging tables. They need to be partitioned in the same way as the main tables. It is better to use separate partition function to decouple merge and split operations in main and staging tables from each other. Remember that SQL Server would hold schema modification (Sch-M) lock on all tables that use partition function for the duration of merge and split operations. Everything prior November 2016. Will be empty. After the staging tables are created, we can switch two partitions from the main tables there. Now we can merge the partitions in the main tables. SQL Server will allow us to proceed because they are empty after the switch. Finally, we can merge partitions in our staging tables and switch them back to the main tables as shown below. As you can see in Figure 2, now partition 2 stores the data for both November and December of 2016. We can use the same approach for partition split. Code below demonstrates how to split November 2017 partition using 2017-11-15 as the new range value. As you can see, with just a few extra operators, we were able to remove the overhead of rebuilding columnstore index on entire table. Unfortunately, this is offline approach. The data in the main tables would become inconsistent as soon as you switch partitions to the staging tables. Fortunately, if data is static, you can address it with some coding. Instead of switching partitions to the staging tables, you can copy the data there. After split or merge is done in the staging tables, you can empty source partitions by switching them to another, temporary tables, and switch data back from the staging tables. The code below illustrates this approach. As you can see, this implementation is relatively simple and considering that data in columnstore indexes is often static, you may be able to utilize it to perform partition maintenance transparently to the users. 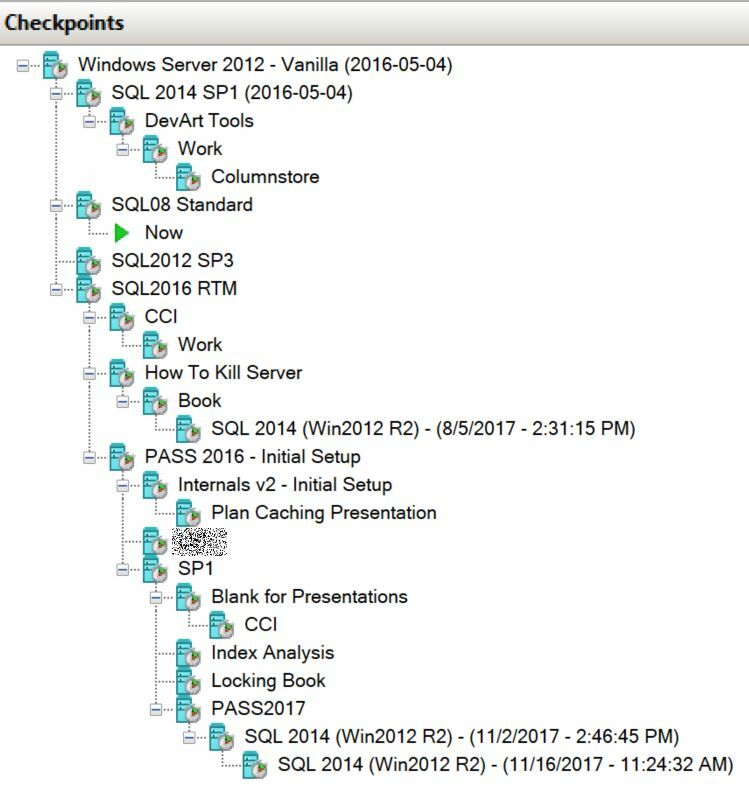 This entry was posted in SQL Server 2005, SQL Server 2008, SQL Server 2012, SQL Server 2014, SQL Server 2016, SQL Server 2017 and tagged clustered columnstore indexes, Data Partitioning on November 28, 2017 by Dmitri Korotkevitch. As many of you know, Data Partitioning is very big and complex subject, which is impossible to cover even with half-day session. One of the topics I left out of scope is how it plays with columnstore indexes. Even though partitioned columnstore tables are similar to B-Tree ones, there are some differences between them. The Sliding Window pattern stands for scenario when we want to retain the data for some period of time. Consider the situation when we need to keep last 12 months of data. In the beginning of each month, we may purge the data that is older than 12 months, basically having a window on the data that slides purging the oldest data, based on a given schedule. Data partitioning is great in this scenario. It allows to keep the purge process on metadata- and minimally logged-levels by switching the old-data partition to staging table truncating it afterwards. This helps to avoid log-intensive DELETE operations and reduce blocking in the system. Let’s look at implementation. First, I would create partition function and scheme considering that now is November 2017 and we would need to retain 12-month of data starting November 2016. This code will create 16 partitions. The left-most partition will host the data prior 2016-11-01 and it will be empty. The two right-most partitions will host the data for December 2017 and everything starting on 2018-01-01. They also will be empty at this point. There is the simple reason why we want to have two right-most partitions empty. Let’s assume that we will run the monthly purge process in December and December’s partition will already store some data. As part of the purge process, we would like to create the new partition for the “next month” data. It is beneficial to perform this and split partition function on empty partition. With B-Tree tables, it is nice to have implementation. It allows to avoid any data scans and movements reducing the time for schema modification lock being held. For columnstore indexes, this is actually the must have part of design – you would be unable to split non-empty partition at all. If you ever implemented Sliding Window pattern with B-Tree indexes, you would be aware of empty right-most partition. However, you might notice that in our example, there is also empty left-most partition present. As I already mentioned, columnstore indexes would not allow you to merge non-empty partitions and you need to have an extra empty partition to perform the merge after old data is purged. Let’s look at the process in details. As the first step, I will create two tables that will share the partition function and scheme. We will populate them with some data and create the columnstore indexes on the tables. The next listing returns data distribution and allocation information for dbo.Orders table. Figure 1 illustrates the output of the listing. As you can see, data is distributed across 13 partitions with left-most and two right-most partitions empty. As expected, it would not work with the error message shown below. The merge of non-empty partition would also fail. Fortunately, we can split an empty partition. Again, let’s assume that we want to start purging process in December. I would insert a couple rows to December’s partitions making them non-empty. Let’s create another empty partition by splitting partition function. The right-most partition is still empty and operation would succeed. As result, we will have separate empty partitions for January, 2018 and another partition that will store all data starting 2018-02-01. We will split the right-most empty partition again during our January’s 2018 purge process. The process of purging old data would consist of several steps. First, we need to create the staging tables to which we will switch old November 2016 partitions. Those tables need to be empty, have exactly the same schema with the main tables and reside on the same filegroup. After tables were created, we can switch November 2016 partitions there truncating staging tables afterwards. Remember that in the main tables, November 2016 is the second left-most partition. Now they can be merged, which will complete our implementation. You must have empty right-most partition pre-allocated to perform the split. I’d like to reiterate that even though it is not required with B-Tree indexes, such empty partition would reduce I/O overhead and table locking during split operation there. You must have another empty left-most partition to perform the merge. This is not required nor needed with B-Tree indexes. I’d like to thank Ned Otter (blog) for his suggestions and feedback. They convinced me to blog on the subject. This entry was posted in SQL Server 2014, SQL Server 2016, SQL Server 2017, T-SQL and tagged clustered columnstore indexes, Data Partitioning on November 21, 2017 by Dmitri Korotkevitch. As you know, SQL Server uses range locks to protect the range of the index keys. This usually happens in SERIALIZABLE isolation level. This level prevents phantom and non-repeatable reads phenomena and it guarantees that queries executed in transaction will always obtain the same set of data every time they were executed. As the simple example, consider the table with ID column and two rows with ID = 1 and ID = 10. In SERIALIZABLE isolation level, the query that selects data from the table should always obtain those and only those two rows if you run it multiple times. SQL Server uses shared range lock protecting ID key range interval of (1..10), which guarantees that other transactions would not be able to update or delete existing rows nor insert any new rows into the interval. In contrast, REPEATABLE READ isolation level uses row locks rather than range locks. They would prevent modifications of existing rows- 1 and 10- but would not prevent other transactions from inserting rows into the interval and introducing phantom read phenomena. The range locks are usually acquired only in SERIALIZABLE isolation level; however, there is another, pretty much undocumented case, when SQL Server can use those locks. It happens even in READ UNCOMMITTED and READ COMMITTED SNAPSHOT modes when you have nonclustered indexes that have IGNORE_DUP_KEY=ON option. In that case rows with the duplicated index keys would not raise an error but rather being ignored. SQL Server would not insert then into the table. This behavior leads to very hard to explain cases of blocking and even deadlocks in the system. Let’s look at the example and create the table with a few rows as shown below. As you see, nonclustered index on the table has IGNORE_DUP_KEY option enabled. Now let’s start transaction in READ UNCOMMITTED mode and insert the row into the table checking the locks session acquired. As you can see in Figure 1, INSERT statement acquired and held two exclusive (X) locks on the rows inserted into clustered and nonclustered indexes. It also obtained Range (RangeS-U) lock on nonclustered index. RangeS-U means that the key range is protected with the shared (S) lock and SQL Server uses update (U) scan within the range. You may ask the obvious question – why the range lock is required? The reason is the way how SQL Server handles modifications of the data. The data is always inserted into or updated in the clustered index first followed by nonclustered index updates. With IGNORE_DUP_KEY=ON, SQL Server should prevent the situation when the duplicated keys were inserted into nonclustered index simultaneously after clustered index insert was done and, therefore, clustered index insert needs to be rolled back. Thus, it locks nonclustered index key range before any data modifications preventing other sessions from inserting any rows there. You can confirm it by looking at lock_acquired xEvent events as it is show in Figure 2. As you can see, the RangeS-U lock is acquired before exclusive (X) locks on the resources. The key problem here, however, is that RangeS-U lock behaves the same way as in SERIALIZABLE isolation level and it is held until the end of transaction. Moreover, RangeS-U locks are incompatible with each other. That can lead to very unpleasant and hard to understand deadlocks. Let’s run the code shown below in another session. The first INSERT would succeed (it is in the different key range in the index). The second, however, would be blocked due to RangeS-U/RangeS-U lock incompatibility. If we checked the locks held by the both sessions now, we would see the picture shown in Figure 3. You can see that session 2 successfully acquired the first range lock but the second range lock request is blocked due to incompatible range lock on the same key interval held by the session 1. Finally, if we run another INSERT in the session 1 into the range locked by the session 2, it would be also blocked with the typical deadlock condition. Figure 4 shows you the deadlock graph. Unfortunately, there is very little you can do about that. The only way to address the problem is removing IGNORE_DUP_KEY option from the index handling duplicates in the different ways. It may or may not work for you. Finally, it is worth mentioning, that SQL Server does not use range locks in case of clustered indexes with IGNORE_DUP_KEY=ON option. Clustered indexes are modified first and SQL Server could detect duplicated keys at this stage without any extra range locking required. 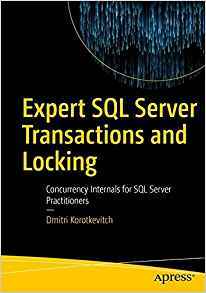 This entry was posted in SQL Server 2005, SQL Server 2008, SQL Server 2012, SQL Server 2014, SQL Server 2016 and tagged Blocking Processes, Deadlocks, Locking on October 11, 2016 by Dmitri Korotkevitch. I think many of us felt quite excited and the same time disappointed with In-Memory OLTP in SQL Server 2014. It was the great and promising technology but it had way too many limitations. The biggest one for me, perhaps, was inability to use data types that required off-row storage. It was possible to address that by changing database schema, implementing data partitioning or performing other tricks; however, it required complex development efforts and often made In-Memory OLTP migration cost ineffective. SQL Server 2016 removes this and many other limitations. Now we can create tables with (max) columns and with data rows that exceed 8,060 bytes. There is the catch, however. Off-row storage in In-Memory OLTP works very differently comparing to on-disk tables and incorrect design decisions could and would affect performance of the system. Today we will look at that in details. As all of us know, In-Memory OLTP does not use the data pages. Well, it uses data pages in nonclustered range indexes but the data rows are stored as the separate in-memory objects. They are linked into the row chains through the regular memory pointers. Every index in In-Memory OLTP adds another pointer and creates another chain of the rows. There are two types of indexes supported in In-Memory OLTP – hash and nonclustered (range) indexes. I do not want to dive into all the details but hash index, in the nutshell, consists of in-memory hash table where each element stores the pointer to the data row chain with the same hash value of the key. You can see the simplified version in Figure 1, which shows the table with two hash indexes on Name and City columns and assumes that hash function generates the hash based on the first letter of the string. Each data row has two timestamps that indicate its lifetime. They store the Global Transaction Timestamp of the transactions that inserted and deleted them. For example, you can see two “Ann” rows in the diagram. The first one, with City = “New York” has been created by a transaction with timestamp of 10. The city was updated to Cincinnati by transaction with timestamp of 50, which deleted the old and created the new versions of the row. The second In-Memory OLTP index type – range index is very similar to B-Tree index defined on on-disk table. The range index consists of the data pages on root, intermediate and leaf levels. On root and intermediate levels, every index row points to the data page on the next level. On the leaf level, index rows point to the actual data rows with the same value of index key. The data pages in the index reference each other through another array-life structure called the Mapping Table as it illustrated in Figure 2. For example, the index row Kevin on the root page references the first element (PID = 1) in the mapping table, which, in turn, stores the pointer to intermediate data page with the highest key value of Kevin. One of very key elements in this schema is that every index, in the nutshell, is covering. Every memory pointer references the actual data row structure regardless of how many columns were included to the index keys. Every In-Memory OLTP object uses memory and is called a memory consumer. Memory Consumers allocate memory from the structures called varheaps – one varheap per In-Memory OLTP object. You can think about varheaps as the data structures that respond to and track memory allocation requests and can grow and shrink in size when needed. You can track detail memory-allocation information per-memory consumer using sys.dm_db_xtp_memory_consumers view. Let’s look at the example and create the table with one hash and one nonclustered indexes and look at memory consumers as shown below. You can see the output of the query in Figure 3. The xtp_object_id column represents internal In-Memory OLTP object_id, which is different than SQL Server object_id. As you can see, the table has three memory consumers. The Range Index Heap stores internal and leaf pages of nonclustered index. The Hash Index Heap stores the hash table of the index. Finally, the Table Heap stores actual table rows. Figure 4 illustrates that. 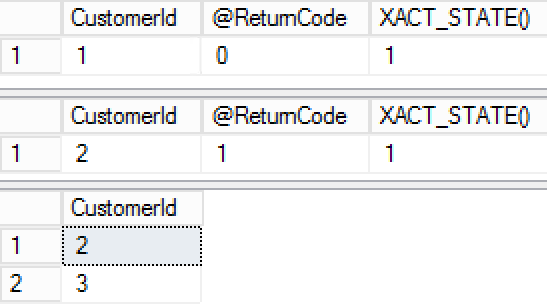 Now let’s see what will happen if we alter our table and add row-overflow and LOB columns using ALTER TABLE statement shown below. This alteration is offline operation, which rebuilds the table in the background. Now, if you get the list of memory consumers using the query from the first listing again, you would see the output as shown in Figure 5. 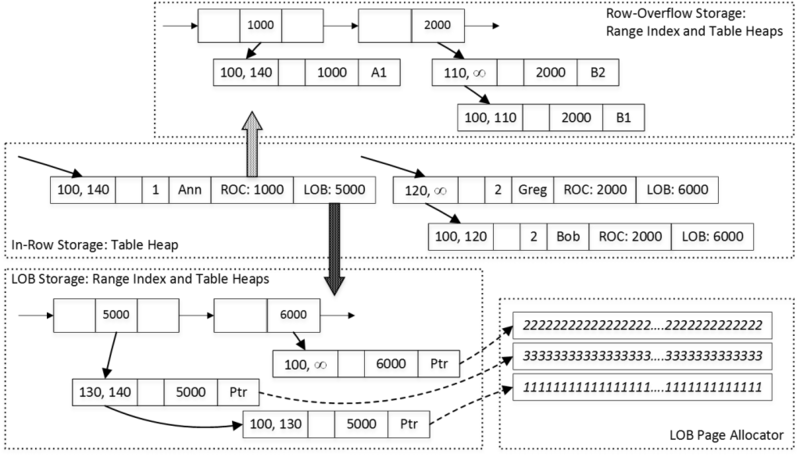 As you can see, both off-row columns introduce their own Range Index Heap and Table Heap memory consumers. In addition, LOB column adds LOB Page Allocator memory consumer (more about it later). The minor_id column indicates the column_id in the table to which memory consumers belong. As you can guess from the output, SQL Server 2016 stores both, row-overflow and LOB columns in the separate internal tables. Those tables consist of 8-byte artificial primary key implemented as nonclustered index and off-row column value. The main row references off-row column through that artificial key, which is generated when row is created. It is worth repeating that this reference is done though the artificial value rather than the memory pointer. This approach allows In-Memory OLTP to decouple off-row columns from the main row using different lifetime for them. For example, if you update the main row data without touching off-row columns, SQL Server would not generate new versions of off-row column rows avoiding large memory allocations. Vice versa, when only off-row data is modified, the main row stays intact. In-Memory OLTP stores LOB data in the memory provided by LOB Page Allocator. That consumer is not limited to 8,060-byte row allocations and can allocate large amount of memory to store the data. The rows in the Table Heap of LOB columns contains pointers to the row data in LOB Page Allocator. Let’s assume that we run several DML statements with imaginary Global Transaction Timestamp values as shown below. Figure 6 illustrates the state of the data and links between the rows. It is omitting hash table and nonclustered index structures in the main table along with internal pages of nonclustered indexes for off-row columns for simplicity sake. Decoupling of in-row and off-row data reduces the overhead of creating extra row versions during data modifications. However, it will add additional overhead when you insert and delete the data. SQL Server should create several row objects on insert stage and update end timestamp of multiple rows during deletion. It also needs to maintain nonclustered indexes for off-row column tables. There is also considerable overhead in terms of memory usage. Every non-empty off-row value adds 50+ bytes of the overhead regardless of its size. Those 50+ bytes consist of three artificial ID values (in-row, off-row in data row and leaf-level of the range index) and off-row data row structure. It is even larger in case of LOB columns where data is stored in LOB Page Allocator. One of the key points to remember that decision which columns go off-row is made based on the table schema. This is very different from on-disk tables, where such decision is made on per-row basis and depends on the data row size. With on-disk tables, data is stored in row when it fits on the data page. In-Memory OLTP works in the different way. (Max) columns are always stored off-row. For other columns, if the data row size in the table definition can exceed 8,060 bytes, SQL Server pushes largest variable-length column(s) off-row. Again, it does not depend on amount of the data you store there. Let’s look at the example and create two tables of the similar schema. One of the tables has twenty varchar(3) columns while another uses twenty varchar(max) columns. Let’s populate those tables with 100,000 rows with 1-character value in each column. The code is shown in listing below. Figure 7 illustrates memory consumers in this scenario (in-row at top and off-row at the bottom). As you can see, every varchar(max) column adds another internal table to the mix. The execution times of INSERT statements n my environment are 153 and 7,722 milliseconds respectively. With off-row storage, In-Memory OLTP needs to add data to twenty other internal tables, which is 40 times slower comparing to in-row storage. Let’s look at the total memory usage of both tables using the queries below. As you can see in Figure 8, off-row storage uses about 252MB of RAM comparing to 12MB of RAM with in-row storage. There is another important implication. Indexes defined on the table are not covering off-row data. SQL Server needs to traverse nonclustered indexes on off-row column tables to obtain their values. Conceptually, it looks very similar to Key Lookup operations in on-disk tables done in reverse direction – from clustered to nonclustered indexes. Even though the overhead is significantly smaller comparing to on-disk tables, it is still the overhead you’d like to avoid. You can see this overhead by running SELECT statements shown below. In case of off-row data, SQL Server will have to go through every internal table for each row. Execution time in my environment is 73 milliseconds for in-row data and 1,662 milliseconds for off-row data. Finally, let’s look what happen when we delete the data from the tables by using the code below. As before, in-row storage is significantly faster – 28 milliseconds vs. 1,290 milliseconds. As you can guess In-Memory OLTP had to update end timestamp in every row in off-row tables. You should remember about this behavior and avoid off-row storage unless you have legitimate reasons to use such columns. It is clearly the bad idea to define text columns as (n)varchar(max) just in case – when you do not store large amount of data there. As you see, off-row storage comes at very high cost. Slide deck on the topic is also available. This entry was posted in SQL Server 2016 and tagged In-Memory OLTP, Internal Structure on September 27, 2016 by Dmitri Korotkevitch. We, SQL Server professionals, like Enterprise Edition. It has many bells and whistles that make our life easier and less stressful. We wish to have Enterprise Edition installed on every server. Unfortunately, customers do not always share our opinions – they want to save money. More often than not, they choose to go with the Standard Edition, which is significantly less expensive. From performance standpoint, Standard Edition would suffice in many cases. Even though it lacks several nice features, it would work just fine even in large and busy systems. I dealt with many multi-TB installations that handled thousands transactions per second using Standard Edition of SQL Server. Nevertheless, Standard edition lacks many of availability features offered in Enterprise Edition. Most important is index management. You cannot rebuild indexes keeping the table online. There are some tricks that can help reducing index rebuild time; however, it would not help much with the large tables. This limitation has another interesting implication. In Standard Edition you cannot rebuild the indexes moving data to another filegroup transparently to the users. One of the cases when such an ability is very important is changing the database disk layout when you are upgrading disk subsystem. Obviously, it is very easy to do offline – this is just the matter of copying database files. However, even with the fast disk subsystem, that can take hours in multi-TB databases, which could violate your availability SLA. This is especially critical with the Cloud installations where I/O subsystem is usually the biggest bottleneck due to the bad I/O performance. The situation, however, is starting to change. Both, Microsoft Azure and Amazon AWS now offer fast SSD-based I/O solutions for very reasonable price. Unfortunately, the old installations were usually deployed to the old and slow disks and upgrading to the new drives will often lead to the hours of the downtime. Fortunately, you can move data to the different disk arrays almost transparently to the users even in non-Enterprise Editions of SQL Servers. There are two ways how to accomplish it. The first one is very simple and can be done if system uses database mirroring. It requires failovers and secondary server downtime, which could lead to the data loss in case of disaster. The second approach works without the mirroring. It is slow, it generates large amount of transaction log records, it introduces huge index fragmentation; however, it keeps database online most of the time. There is still the downtime involved; although, it could be limited to just a few minutes. It will work in any SQL Server version and edition – well, to be frank, I have not tried it in SQL Server 2000 yet. Let’s look at both of those approaches in details. Database mirroring and, as matter of fact, Always On Availability Groups rely on the stream of transaction log records. Secondary servers apply the changes in the data files using file and page IDs as the reference. With exception of database file-related operations, for example file creation, primary and secondary servers do not need to store database files in the same location – it is possible to use different disk and folder structure on the servers. You can rely on this behavior if you need to move database files to the different drives. You can run ALTER DATABASE MODIFY FILE(FILENAME=..) command on the secondary server, which will allow you to update data and log files paths in the system catalogs. Everything will continue run normally – those changes would not take place until the next database restart. Unfortunately, you cannot take database that participate in the mirroring session offline and you need to shut down entire instance of SQL Server. After that, you can physically move database files to the new location. On the primary server, the database mirroring will switch to the DISCONNECTED state. The database will continue to be available to the clients; however, it remains unprotected – all changes will be lost in case of disaster. You need to remember that file copy operation can take hours and you need to evaluate if you can take such a risk. It is also worth to mention that transaction log on the primary would not truncate and continue to grow even after log backups – SQL Server needs to retain the log records until they sent to the secondary server. After the file copy operation is completed, you can start the instance (the primary database will switch to SYNCHRONIZING state) and wait until all log records have been transmitted to the secondary (SYNCHRONIZED state). Then, you can failover and wash, rinse and repeat the process on the former primary server. To summarize, this process is very simple and transparent to the client applications. It is the good choice as long as you can afford the instance downtime and possibility of data loss in case of disaster. If this is not the case, you will have to use much more complicated approach. When mirroring is not an option..
.. our life is much more complicated and the process will require multiple steps to complete. We need to create the new data files in the secondary filegroups and shrink existing files by using DBCC SHRINKFILE(EMPTYFILE) command. This will move data from old to the new data files. Next, we need to repeat the same process with the primary filegroup. You cannot remove primary MDF file from the database; although, you can make it very small and move all data from there. Next, we need to shrink the transaction log . Finally, we need to copy MDF and LDF files to the new location. This is offline operation; however, both, MDF and LDF data files are small at this point and downtime is minimal. Let’s look at the process in details. As the first step, let’s create the test database with two filegroups and populate it with some data. For the demo purposes, I am assuming that C:\OldDrive folder represents old and C:\NewDrive – new disk arrays respectively. We can check the size of the data and log files along with their free space with the code below. Figure 1 shows the output of the statement. As the first step, you need to create new data files on the target drive. You can keep the same number of files as before, or use this as the opportunity to change the filegroup layout. In general, the number of files in the fielgroup greatly depends on the volatility of the data. Every data file has its own set of allocation map pages, which reduces the contention during page and extent allocations. It is impossible to give the general advice on how many files to create – I usually start with four files per filegroup unless the data is extremely volatile and the filegroup handles hundreds or even thousands of inserts per second. You can monitor and analyze PAGELATCH waits to see if there is the contention and adjust the number of the files accordingly. In our example, let’s create two data files on C:\NewDrive folder as shown below. Make sure that both files have exactly the same initial size and autogrowth parameters specified in MB. This will help SQL Server to evenly distribute data between them. Figure 2 shows the output from the Listing 2 after new files were created. The DBCC SHIRINKFILE command works in a very simple manner. It reads allocated extents from the end of the file and moves them to the other files in the filegroup. In case, if filegroup has multiple files, SQL Server uses proportional fill algorithm choosing to which file those extents need to be moved. The choice depends on amount of free space in the file – more space file has, more data would be copied there. In case, when the filegroup originally has more than one file, you would like to avoid an overhead of moving data to the file, which yet to be moved. In our case, you want the data from DataMovementDemo_Secondary1 file to be distributed only between DataMovementDemo_NewSecondary1 and DataMovementDemo_NewSecondary2 files avoiding any inserts into DataMovementDemo_Secondary2 file. Usually, data files in production databases do not have excessive amount of free space. When this is the case, you can simply prevent unnecessary data movements by restricting auto-growth of the old files. However, if those files have large amount of free space, you can also consider to shrink them and release this space first. There is the catch though. If free space is located in the beginning of the data file, shrink operation would start data movement and introduce the overhead. You need to make decision how to proceed on case by case basis. The next listing shows how you can restrict the auto-growth for the file. Now we are ready to process the first data file. Listing below shows the code that performs data movement and removes an empty file from the filegroup afterwards. Both operations are transparent to the users and client applications. It is worth mentioning that you can use the code from the second listing above to monitor the progress of the operation. You can also look at percent_complete column in sys.dm_exec_requests view. If you checked the status of the files after operation is completed, you would see the results as shown in Figure 3. As you see, the data from the data file has been distributed between other files in the filegroup. You can use exactly the same approach to move data from the DataMovementDemo_Secondary2 file. Listing shows the code and Figure 4 shows the database files after the process is completed. As you see, the secondary filegroup now resides on the new drive. The word of caution. As I already mentioned, DBCC SHRINKFILE generates enormous amount of transaction log records. Make sure that transaction log is truncating especially if the database uses FULL recovery model. Even though many of us know about the best practice of keeping PRIMARY filegroup empty, it rarely followed. Majority of production databases keep the data in PRIMARY filegroup, which usually consist of the single MDF file. Unfortunately, you cannot remove nor change the primary data file in the database. Moreover, you cannot shrink the file below the size of the data currently stored in the file, even if a filegroup has the other data files. Fortunately, you can still use DBCC SHRINKFILE(EMPTYFILE) command on MDF data file. It would move data to the other files in the filegroup and failing on the final stage of the execution with the error message shown in Figure 5. Nevertheless, the majority of the data from the MDF data file would be moved to the other files. Listing below shows the code that performs this action. It creates the second data file in PRIMARY filegroup and moves the data from MDF file there. 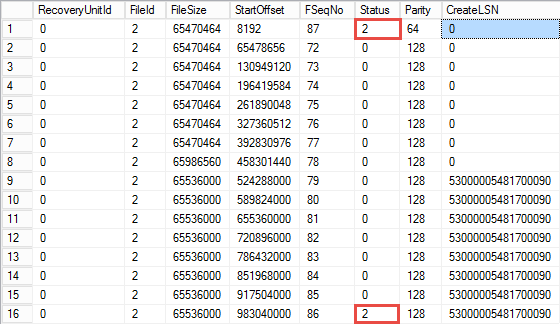 Figure 6 shows the file stats after it is completed – after DBCC SHRINKFILE(EMPTYFILE) error. As you see, MDF data file is pretty much empty. You can release the empty space from the file using DBCC SHRINKFILE(DataMovementDemo, 10) command. Figure 7 illustrates the situation after it is completed and MDF file became very small. Unfortunately, this approach introduces two or more unevenly sized data files in the PRIMARY filegroup, which makes proportional fill algorithm less efficient. It may or may not be a problem in your system, depending on how volatile is the data. You can address it after you move MDF file to the new drive by creating other data files in PRIMARY filegroup and shrinking and emptying the file you just created. This will distribute the data in all files in the filegroup evenly. Finally, it is worth mentioning that in some cases, especially when MDF file is very large, DBCC SHRINKFILE(EMPTYFILE) command can error in the middle of the execution stating that it cannot move some of the data pages that belong to the system objects. You can address it by re-running DBCC SHRINKFILE using the current data size as the target (e.g. releasing the empty space from the file). This will move those data pages within the file and you can re-run DBCC SHRINKFILE(EMPTYFILE) command afterwards. The decision how to handle transaction log depends on its size, and backup and high availability strategies you have in place. Transaction log size affects time, which file copy operation will require and, therefore, the system downtime. Obviously, the simplest solution is avoid shrinking transaction log if the log file is not very large and downtime is acceptable. In case, if you need to reduce the downtime, there are no options but shrinking the log file. It is usually not a problem in case if database uses the SIMPLE recovery model. However, with FULL recovery model situation is a bit more complicated. As the first step in this process, you need to truncate the log by performing the log backup. This operation does not decrease the size of the log file but rather reduce the size of the active/used portion of the log. Keep in mind that open transactions, backlogs in high availability log record queues and a few others factors can prevent transaction log from being truncated. Next, you can shrink the log file using DBCC SHRINKFILE command with the very small size- 50MB, for example- as the target. Your results may vary. Internally, SQL Server splits the log to the multiple blocks called Virtual Log Files and re-uses them in the circular matter. Shrink operation would release the empty space from the tail of the log; however, the resulting file size depends on the active VLF offsets in the file. It is entirely possible that shrink command would not reduce the file size if active VLFs are close to the end of the file. Let’s illustrate that with the example and run DBCC LOGINFO command, which shows the status of the VLFs in the log file. Figure 8 illustrates the partial output from our test database. Status value of 2 indicates that VLF is active and cannot be truncated. As you can see, it is in the middle of the file. As you saw in Figure 7, the log file is using just 61MB out of 1.5GB in the file. However, if you run DBCC SHRINKFILE(DataMovementDemo_Log, 65) command, you’d see that it did not shrink beyond 1000MB as shown in Figure 9. If you run DBCC LOGINFO again, you would see that SQL Server removed the empty VLFs from the end of the file and stopped when it reached the active VLF there. Figure 10 illustrates that. It is also worth mentioning that the first VLF in the file also became active during the shrink. At this point you have the two options, assuming that size of the log file is still unacceptable. You can wait until SQL Server truncates the log making last VLF inactive and repeat the shrink operation afterwards. This will eventually happen with the regular workflow. You can even force this by generating transaction log records by creating the table with one CHAR(8000) column and inserting multiple rows there in the separate transactions and batches. Do not forget to force log truncation with BACKUP LOG operations and use DBCC LOGINFO to monitor the progress. Alternative option is switching database to the SIMPLE recovery model using ALTER DATABASE SET RECOVERY SIMPLE command. This will perform log truncation and will allow you to shrink the log to the minimal size immediately. Obviously, this approach will require you to disable transaction log-based high availability technologies and recreate backup chain afterwards. While, on the surface, switching database to SIMPLE recovery model introduces unnecessary complications, it could be the good opportunity to rebuild transaction log file. Large number of VLFs negatively affect system performance and can slow down database recovery time. Unfortunately, default settings in New Database dialog in Management Studio leads to that situation. At least in SQL Server prior 2016. 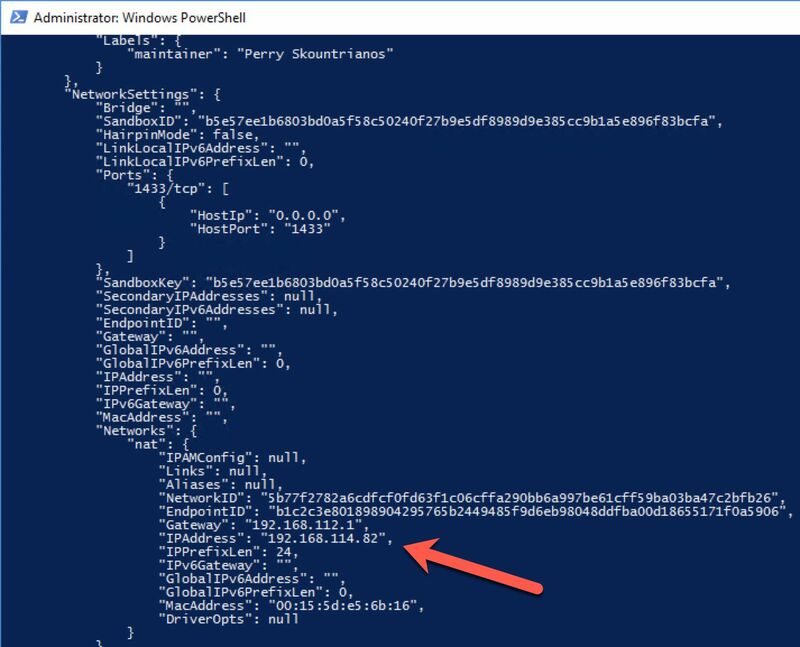 You can rebuild transaction log after you moved the file to the new drive by manually growing it in 4000MB chunks – do not use 4GB chunks due to the bug in some of SQL Server versions. Every chunk will generate 16 250MB VLF files, which works well for the most configurations. After that, change log auto-growth to be in MB – I found that 1000MB chunks are good for majority of the cases. Finally, it is the time to move MDF and LDF files to the new drive. Unfortunately, it is offline operation. Fortunately, at this point, both files should be very small and downtime should be minimal. As the first step, you need to change location of the files using ALTER DATABASE MODIFY FILE command. This will change location of the files in the system catalogs, and will take an effect after the database restart. Next, you can take database offline using ALTER DATABASE .. SET OFFLINE WITH ROLLBACK IMMEDIATE command. This will disconnect all users from the database rolling back the active transactions. You can copy the files and take database back online using ALTER DATABASE .. SET ONLINE command as shown below. As you see in Figure 11 – our database is now residing on the new drive. Almost done! Again, do not forget to rebuild the log file and switch database to FULL recovery model if needed. There is one final step though. As you already know, DBCC SHRINKFILE command works on the extent level. It moves allocated extents from the end of the file to the new place without any considerations to which objects those extents belong. As you can guess, this leads to the huge index fragmentation, which you need to address at the final stage of the process. Obviously, you do not want to acquire Schema Modification (SCH-M) locks blocking access to the tables during index rebuild operations. It makes index reorg the better choice for this scenario – it is online in any edition of SQL Server. Listing below shows the script you can use to generate ALTER INDEX REORG commands for every clustered and nonclustered indexes from specific filegroup. It returns result as XML string – you can simply cut and paste it and run as another batch. 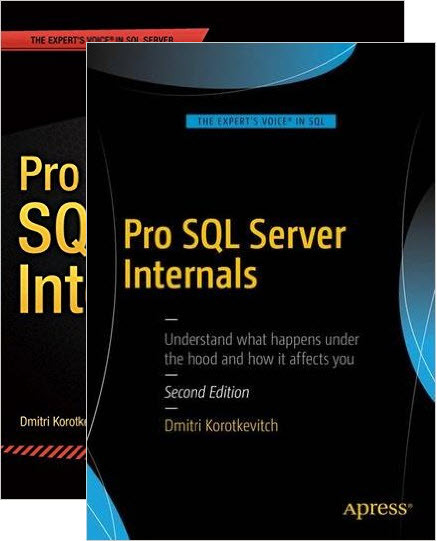 This entry was posted in SQL Server 2005, SQL Server 2008, SQL Server 2012, SQL Server 2014 and tagged Availability, Data Partitioning, Tiered Storage on March 8, 2016 by Dmitri Korotkevitch. Modern software systems have become extremely complex. They consist of a large number of components and services responsible for various tasks. They must be scalable and redundant and need to be able to handle load growth and survive hardware failures and crashes. The common approach to solving scalability and redundancy issues is to design the systems in a way that permits to deploy and run multiple instances of individual services. It allows adding more servers and instances as the load grows and helps you survive hardware failures by distributing the load across other active servers. The services are usually implemented in stateless way, and they don’t store or rely on any local data. Most systems, however, have data that needs to be shared across the instances. For example, front-end web servers often need to maintain web session states. Back-end processing services often need to have shared cache with some data. Historically, there were two approaches to address this issue. The first one was to use dedicated storage/cache and host it somewhere in the system. Remember the old ASP.Net model that used either a SQL Server database or a separate web server to store session data? The problem with this approach is limited scalability and redundancy. Storing session data in web server memory is fast but it is not redundant. A SQL Server database, on the other hand, can be protected but it does not scale well under the load due to page latch contention and other issues. Another approach was to replicate content of the cache across multiple servers. Each instance worked with the local copy of the cache while another background process distributed the changesto the other servers. Several solutions on the market provide such capability; however, they are usually expensive. In some cases, the license cost for such software could be in the same order of magnitude as SQL Server licenses. Fortunately, you can use In-Memory OLTP as the solution. In the nutshell, it looks similar to the ASP.Net SQL Server session-store model; however, In-Memory OLTP throughput and performance improvements address the scalability issues of the old on-disk solution. You can improve performance even further by using non-durable memory-optimized tables. Even though the data will be lost in case of failover, this is acceptable in most cases. However, the 8,060-byte maximum row size limit introduces challenges to the implementation. It is entirely possible that a serialized object will exceed 8,060 bytes. You can address this by splitting the data into multiple chunks and storing them in multiple rows in memory-optimized table. You saw an example of a T-SQL implementation in my previous blog post. However, using T-SQL code and an interop engine will significantly decrease the throughput of the solution. It is better to manage serialization and split/merge functional on the client side. Let’s look at the oversimplified example and see how we can handle that in the client code. The first listing below creates the table that we will use to store the data along with three stored procedures to load and save data to/from the table. As you can see, there are two different stored procedures that save data to the table. The first one – dbo.SaveObjectToStore – uses memory-optimized table-valued parameter and can be used in the case, when serialized object data is greater than 8,000 bytes. The second stored procedure – – dbo.SaveObjectToStore_Row – accepts varbinary(8000) parameter and can be used if serialized object is within 8,000-byte range. This is strictly for optimization purposes. Even though memory-optimized table-valued parameters are very fast, they are still slower compating to the regular parameter. The client code would contain several static classes. The first ObjStoreUtils class provides four methods to serialize and deserialize objects into the byte arrays, and split and merge those arrays to/from 8,000-byte chunks. You can see the code below. The ObjStoreDataAccess class shown in the next listing, loads and saves binary data to and from the database. It utilizes another static class – DBConnManager, which returns the SqlConnection object to the target database. This class is not shown there. Finally, the ObjStoreService class shown below puts everything together and manages the entire process. It implements two simple methods,Load and Save, calling the helper classes defined above. Obviously, this is oversimplified example, which I used just to illustrate the concept. Production implementation could be significantly more complex, especially if there is the possibility that multiple sessions can update the same object simultaneously. You can implement retry logic using the similar approach with what we did enforcing uniqueness/referential integrity or create some sort of object locking management in the system if this is the case. It is also worth mentioning that you can compress binary data before saving it into the database. The compression will introduce unnecessary overhead in the case of small objects; however, it could provide significant space savings and performance improvements if the objects are large. I did not include compression code in the example, although you can easily implement it with the GZipStream or DeflateStream classes. 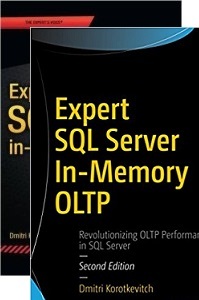 You can download the demo application from “Expert SQL Server In-Memory OLTP” Companion materials. It has slightly different implementation – I denormalized classes a little bit to reduce C# code overhead during the demos when it is running on the same box with SQL Server. However, it is very similar to what you saw in this post. P.S. I want to thank Vladimir Zatuliveter (zatuliveter at gmail dot com) for his help with the code. This entry was posted in Client Development, SQL Server 2014 and tagged In-Memory OLTP on September 22, 2015 by Dmitri Korotkevitch.